Bearer of a valiant & courageous heart, this fathomless teal reveals the strength of the brave knight’s convictions with his gleaming, fiery core. 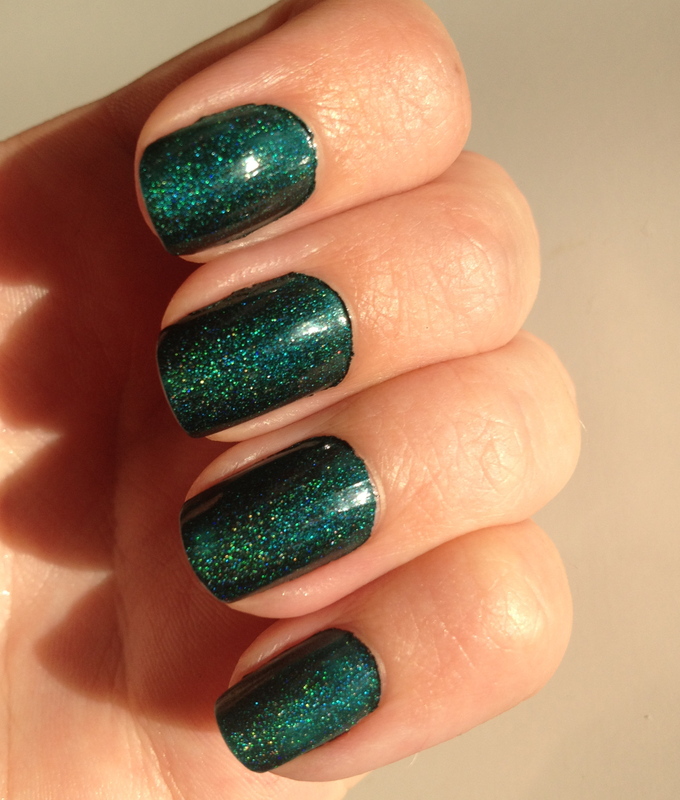 By now, I’m sure you’ve all seen swatches of Saint George. 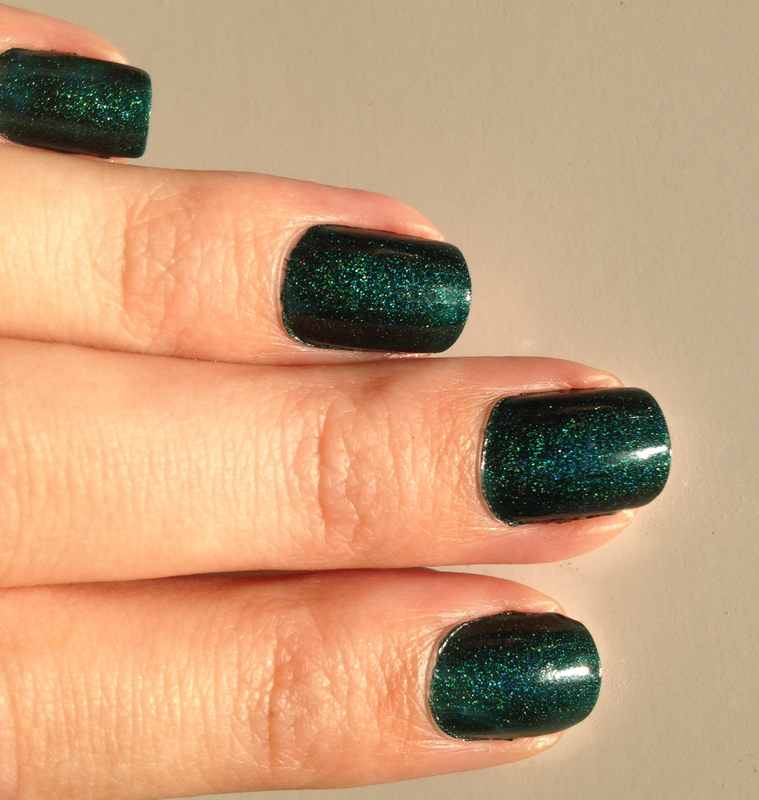 It’s probably the most exciting A England polish so far (well, except for Princess Tears in my opinion, more on that later!) and with good reason! I must admit, when The Legend collection first came out, I saw Saint George and thought “maybe next time” because I’m not typically one for green polishes. As soon as I started seeing swatches of it online, however, I knew I’d made a mistake. When Adina had that awesome promotion for The Mythicals collection a few weeks ago, my first thought was to include Saint George and I’m sooooooo glad I did! I also finally gave in and got Lady of the Lake and Tristam, which you’ll see soon! 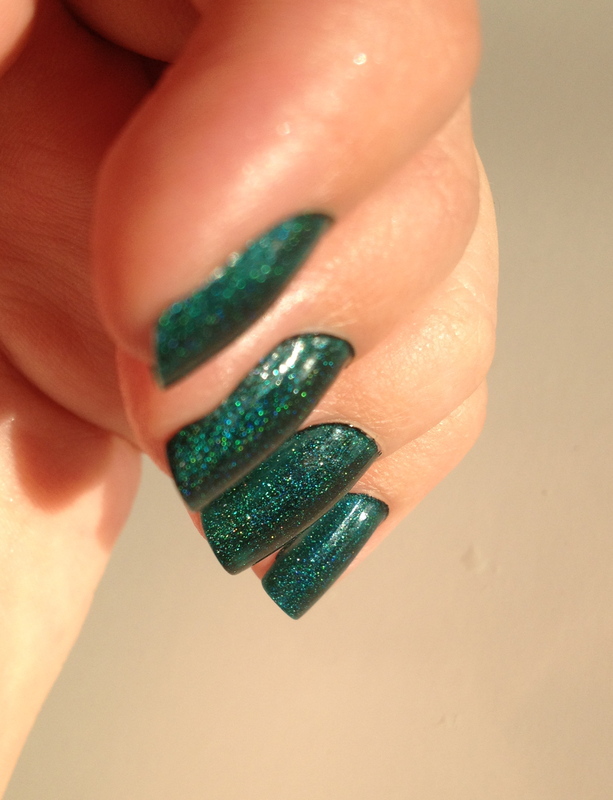 The above picture may be a bit blurry, but just look at that gorgeous holo! This one shows the darker side of Saint George. I have to say, I have completely transformed into a lover of teals, especially the darker ones. Add some holo on top of that and we have a new favorite polish. A England never disappoints!